The iPhone X may mark a time in the history of Apple, but it is clear that iOS 11 will not pass to the memory of its users for their good work : lags, excessive battery consumption, bugs in Siri, in the mail, in the calculator ... If there was even a flaw that changed a simple capitalized i for this combination of symbols A [?] ! 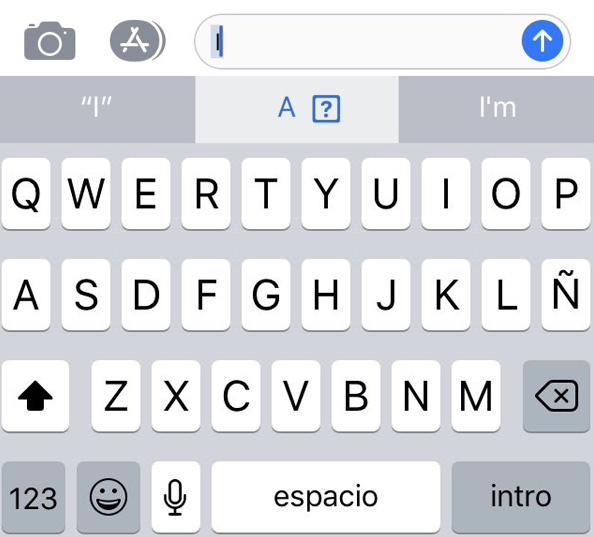 Fortunately, Apple is fast and efficient when it comes to launching updates and has already published the patch that solves this problem, because to date we could only resort to a trick in the introduction of keyboard . These problems do not go unnoticed by anyone : the suffering iOS users who suffer from it in their flesh and the Androids, who look for any excuse to discredit a brand that is almost considered a religion for many. 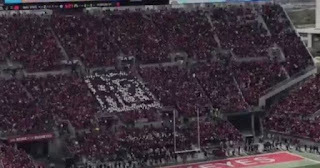 Without going any further, fans of the Ohio State recalled during the game at home a couple of days ago against Michigan State this curious bug in the best possible way: with a mosaic in which they spelled the name of their team, only that instead of appearing OHIO, what was seen was OHA [?] O. Yes, every time an I went out, it was replaced as in iOS 11. What creativity and bad slob! Each time the fans encouraged their team, the succession of letters was seen again at different speeds but always with [?] Instead of I. A curious anecdote that does not fail to show the ascendancy of Apple in today's popular culture . After all, the important thing is that they talk about you, even if it's not good.